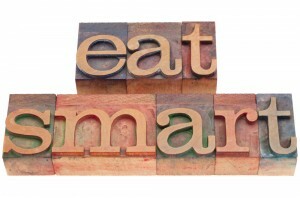 Posted on August 6, 2014 | Comments Off on Eat Smart…Why? Neurological health may be the most overlooked area of general health. Many of us are aware that good nutrition is crucial for overall wellness, but may not give much thought about diet in relation to brain health. Are there such things as brain foods that can help fend off or prevent neurological illness? Are there certain foods we should avoid in order to support mental function? Growing evidence supports a link between unhealthy diets and increased risk for neurological conditions such as depression and dementia, while healthy diets may be neuro-protective. An unhealthy diet can affect everyday functions of the brain and nervous system and cause symptoms of brain fog, poor memory and moodiness. Age-related neurogenerative diseases such as Alzheimer’s disease are caused by the deterioration of brain neurons, resulting in abnormal function and leading to widespread damage to brain tissue. Growing scientific research points to inflammation and free radical activity as contributing factors to brain function decline. David Perlmutter, MD, FACN, a board certified neurologist and author of The Better Brain Book, believes that nutritional therapy and lifestyle modifications hold hope for the prevention of neurodegenerative diseases. According to Dr. Perlmutter, slow smoldering inflammation appears to play a big part in neurogenerative diseases by paving the way for free radical activation. As part of our immune system, acute inflammation is the body’s beneficial, biological response to pathogens, illness or injury. However, chronic inflammation can linger silently for months or even years and is linked to heart disease, cancer, stroke, diabetes, and kidney disease. Although free radicals are the result of normal aerobic cellular metabolism, an overproduction of free radicals can damage cellular structures and set off a series of pro-inflammatory genetic signals, which eventually results in cell death or uncontrolled cell growth. Oxidative stress (OS) is the result of an imbalance of free radicals and the body’s ability to neutralize them. OS is linked to aging and cognitive decline and can affect neurotransmitter balance, hormone metabolism and reduced energy output in brain cells. Unhealthy lifestyle habits such as poor diet, smoking, chronic stress, heavy alcohol use and inactivity all contribute to oxidative stress. If you want to protect your neurological function, start by improving your nutrition. Emerging research shows that a healthy diet and a healthy lifestyle can profoundly impact brain health and function. Lifestyle approaches that combat chronic inflammation can help reduce the risks of age-related cognitive decline. Avoiding pro-inflammatory foods, such as junk foods, fast foods, fried foods and processed foods, containing high levels of unhealthy fat, sugar, salt, artificial sweeteners, food dyes and chemicals known to contribute to inflammation. Following the Mediterranean diet, which is high in healthy fats, nutrients and antioxidants, supporting cardiac, brain and overall health and a lowered risk of developing cognitive and age-related diseases. Supporting healthy brain and heart function by consuming healthy dietary fats including the omega-3 fatty acids EPA and DHA, powerful anti-inflammatory agents. Including fresh, brightly colored fruits and vegetables, which are packed with antioxidants and anti-inflammatory, neuroprotective phytochemicals. Aim for a least 5 servings a day of green leafy vegetables, cruciferous vegetables and whole fruits, especially berries. Improving your digestion with probiotics and fermented foods, aiding absorption and utilization of antioxidant nutrients. Reducing your added sugar consumption, as a diet with a relatively high glycemic index is associated with increased inflammation. Including foods high in micronutrient antioxidants, such as vitamins E and C, beta carotene, and tea polyphenols, which aid in scavenging and neutralizing free radicals. Supplementing with powerful antioxidants such as resveratrol, curcumin, fish oil, Coenzyme Q10 or ubiquinol. Cutting back on industrial raised red meat and switching to pastured raised beef, which has a healthier fatty acid profile. Increasing your intake of dietary soluble and insoluble fiber, associated with lowered inflammation levels. Addressing food allergies or gluten sensitivity, which can cause headaches, fatigue, and inability to concentrate, all symptoms of inflammation. Undiagnosed gluten intolerance results in chronic inflammation and malabsorption of nutrients. Taking steps to address high blood pressure, which can result in faulty blood flow to the brain and restrict crucial nutrient and energy supply. Losing weight, if needed, appears to reduce pro-inflammatory markers. Obesity, especially abdominal fat, is believed to be a major cause of low-grade systemic inflammation. Independent of weight loss, exercising regularly lowers pro-inflammatory molecules. InflamaSYN by NewMark contains well researched, bioactive botanicals, which promote a healthy inflammatory response and healthy aging, and support joint, heart and bone health. Inflamase by Progressive Labs contains pure A-Chymotrypsin, a potent anti-inflammatory ingredient. This product contains powerful enzymes that support the body’s drainage and injured tissue repair processes. Total FLM by Nutri-West features herbs and natural ingredients known for their anti-inflammatory effects. Resveratrol by Pure Encapsulations contains 20% standardized trans resveratrol, providing enhanced cardiovascular and antioxidant support. This entry was posted in Home and tagged eat healthy, eat smart, Inflamase by Progressive Labs, InflamaSYN by NewMark, Professional Supplement Center, Resveratrol by Pure Encapsulations, Total FLM by Nutri-West, Vitamins and supplements, www.professionalsupplementcenter.com. Bookmark the permalink.